Abstract: Venantius Fortunatus was a Latin, Ravenna educated, semi-political rhetorical poet active in Merovingian Francia in the late 6th century. Arriving in Austrasia from the Alps in the spring of 566, he wrote three poems, not least an epithalamium publicly performed at the wedding of Sigibert and Brunhild. 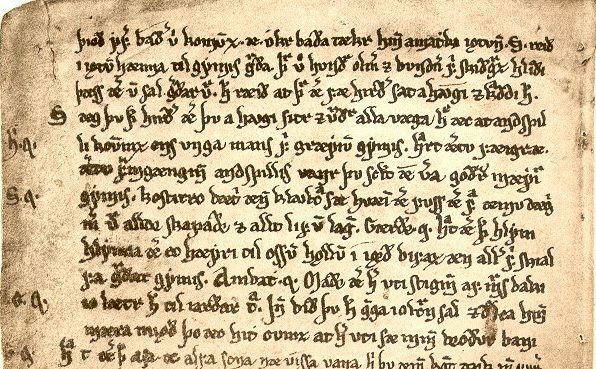 This literary genre, its structure and the three addressees of his poems can be seen as a surprisingly detailed template for the Norse poem Skírnismál. The value of Fortunatus’ poetry rests with his ability to amalgamate Germanic, Christian and Latin Roman culture in a period of transition from a pagan to a Christian society. Since these periods of transition are reoccurring, it is possible to see an education in the 10th–11th century as the background for the Norse Skírnismál author, who probably must have read Fortunatus in order to compose his Norse wedding entertainment. Skírnismál is thus neither a purely Norse nor a purely oral composition.